Of Mice and Monsters by Tirzah Duncan. “There is a man who twists the necks of caged mice…” Oh, Benjamin, what a beastly creature you are. A fine conversationalist, though, I must give you that. But that phantom wind will do for you if Tina comes to harm – any harm that she’s not already inflicting on herself, the poor, sick thing. Some lovely writing, here. Passionate. Unflinching. Go Gentle by Julie Barnson. “…Don’t be fooled by the tales, Maggie my girl—the violin is something special, but it isn’t evil…” Ah, a tale where ghosts and music meet! That is quite the violin; such an intriguing history. How pleasant it would be to have a grandfather like Maggie’s to tell such stories. Some people are so lucky in their family… Ah, and now for the ghostly showdown. Don’t be afraid of your power, Maggie! We must all take firm ownership of the magic that is given us, mustn’t we? Dead Water by Amanda Banker. “…Graham flinched, seeing something reflect in Tommy’s eyes as dark as the water swirling and tugging at their ankles…” Oh-ho, now this is a spooky one! Give us a glimpse of these brothers’ troubled hearts, then threaten them with death or a fate far worse – is that your game, author? Crafty, to say nothing of cruel and creepy. I scarcely dare breath through this. Don’t any of you go tumbling off the shelves now, darling books – I’ll be out of my skin! Cold Spot by Jay Barnson. “Mike Bradshaw’s laptop had vanished…” And just when you thought things couldn’t get any scarier, people’s lives are coming down to their phone’s battery power (low) and a Wi-Fi signal (sketchy). Based on personal experience? You’re very dead, boys. The Weeping Lady by A.F. Stewart. “Eva Douglas was headed home. And she wasn’t happy about it…” Tell me about it, Eva. Some mothers, am I right? But with your little sister gone missing, what choice have you? On the bright side, at least there’s a wailing ghost to distract from your worries! Or add to them. It’s all about attitude, isn’t it? My, my, the lengths to which some people will go to get what their heart craves. Poor Sofia. Can’t say whether I blame you. The Poltergeist and Aunt Betty by Ginger C. Mann. “Demon!” She knocked on the door, screaming out loud in the light of dawn. “Devil! Poltergeist! Help! I need sanctuary! What would Jesus do? Let me in! Help, help, please!” Oh, help me, I can’t catch my breath! So sorry, my darlings, I’m trying to get through this, but how is anyone supposed to read such a story aloud? I’m falling to laughing pieces at every other paragraph! And people want to call me crazy? They’ve never met Betty, plain and simple! What, a, case! The ‘Grim’ Reaper by L.K. McIntosh. “…The very thing that made me who I am was gone, my chances of finding it getting slimmer by the moment…” Oh, you poor reaper. The loss of your amulet – it would be like if I somehow lost my precious Library! 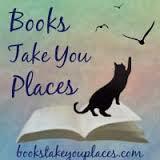 Painful enough when the odd book vanishes from existence; at least there are countless other titles still left to me. If you’ve the strength to carry on after such a blow, you’ll be more resilient than me. Not even the bloodiest revenge could wholly atone. Shrine of Mirrors by F.M. Longo. “…I do not believe in supernatural things…” Do you not, Saga Naoki? What do you then call those multi-tailed foxes, flocks of bird-man demons, and other yōkai? Perhaps I’m missing some subtle cultural distinction, but your skepticism reads to me as senseless denial. Distracting. I’ll have to see what books the Library has on old Japanese worldviews. Dead Man Hocking by T.N. Payne. “Every sinner must pay a price for the foolishness of their choices…” So very true. It’s not often I come across a sympathetic zombie, but Kyle is that. Gravely flawed, of course – I would guess that most who end up among the undead are – but that’s what makes you care. Not even books are perfect; why expect it of a human being? Saint Peter’s Fish by Alex McGilvery. “A large trout slapped Sam across the face…” Raining fish? What an opening! This is a quirky little number. Makes you think, though. I enjoy the diverse characterizations. Luke in particular, I am much too drawn to you; we may have just a little too much in common. And Miriam is a dear. Sam really is too, bless him. I hope he comes to a good end. The man doesn’t need a repeat of anything like the whale incident. The Diorama by Sebastian Bendix. “…The room lit up, revealing a miniature world…” Ah, the joy of having a world of your own. A home away from it all. A sphere where you feel you’ve found some belonging. Some control. Though, hmm, one begins to wonder where the control really lies… Not to alarm you, Martin, but I think your life is about to get entirely out hand. Enjoy the perks while you can. And the narrative voice; that’s a pleasure, too – over-the-top, but with intention. Good for making magic of the mundane. 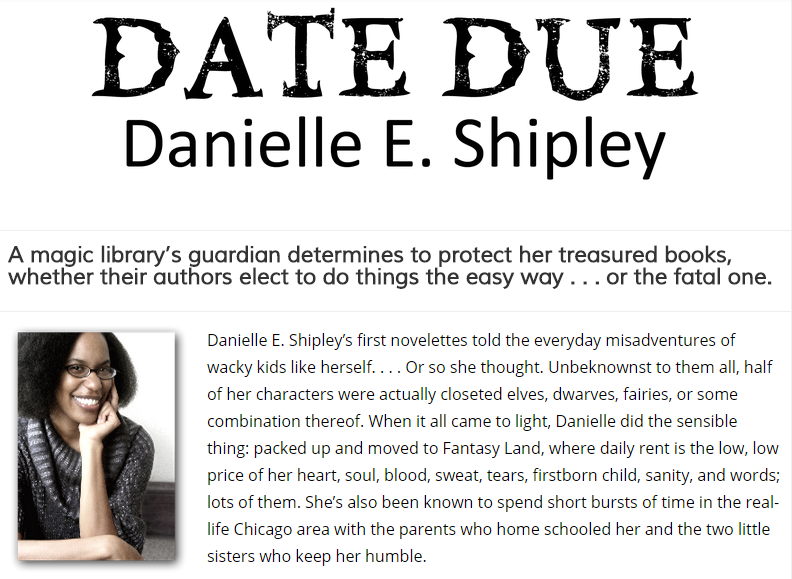 Date Due by Danielle E. Ship— Wait! No! Not my book, not now, not Beyond the Wail, GONE! It’s not fair – I had only one story left to read! Why couldn’t we have had just one more hour together before it disappeared forever, like far too many Library treasures before it? A thousand curses! If only I’d taken care of the anthology’s authors when I had the chance. Now I’ll never get to experience the final tale. Unless… What do you think, my sweets? Any chance Beyond the Wail will achieve publication, someday?.. Thanks, Danielle! 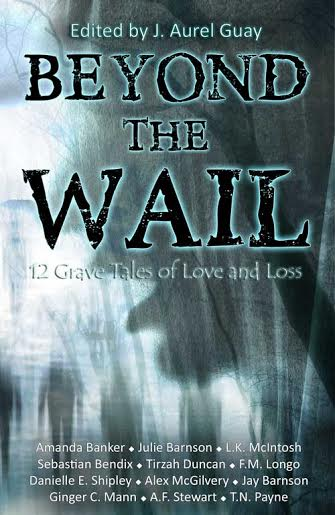 What a great post about Beyond the Wall! Readers, find more info about this anthology on Goodreads or check out the blog tour giveaway – but it ends tomorrow! Check out more info on Danielle via her website, or blog! 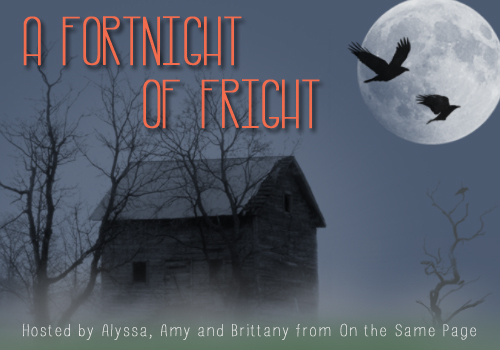 This entry was posted in fortnight of fright and tagged anthology, author, Authors, book review, Fortnight of Fright, guest post, horror, reviews, young adult. Bookmark the permalink.